Last season Haas tore up the F1 rule book. Debutant squads these days are supposed to be comically bad, barely clinging on at the back of the pack; perhaps living a hand to mouth existence. Not so Haas, which was right in the mix right from the get-go. It scored a whole 29 points (including sixth place in its first race) and ended up eighth of 11 in the constructors' table. Some curmudgeons muttered however that by their estimation Haas had torn up the rule book in a more literal sense also. Certainly it stretched its wording in a way that shocked a few, particularly in the 'listed parts' regulations and the minimum in-house components required to be an F1 constructor. It outsourced build of the chassis as well as the design and manufacture of its listed parts to Dallara on a contract basis, as well as sourced many non-listed parts from its effective A team Ferrari. Haas also as a non-competing team in its preparation year was then unbound by restrictions on windtunnel and CFD running, and used Ferrari facilities which only increased the grumbling, although an FIA visit declared everything kosher. Still, in more ways than one Haas was no ordinary debutant. There were teething problems of course. After a fine start - scoring in the three of the opening four rounds - the squad fell away a little. Sometimes it flailed amid the myriad requirements of being a modern F1 team, and there was also internal squabbling and staff departures. Most noticeable to the rest of us were its problems with brakes that lingered notoriously (and much to its drivers audible chagrin) for much of the season. Most suspected a more established squad would have sorted it a lot more quickly. Not for nothing many predicted a more difficult sophomore year for Haas in 2017, including because this time it'd be subject to the same restrictions as everyone else. But the team appears at least to have maintained its level, with the consensus that its is a neat and compliant machine that is somewhere within the crowded midfield peleton. Karun Chandhok reckoned it looked driveable and "ahead of the likes of Sauber and McLaren, and genuinely in the [midfield] fight". A few spotted more evidence on it of Ferrari technical collaboration, particularly in the bargeboard and turning vanes. It also is benefitting from an improved and ultra-reliable Ferrari power unit. Team principal Gunther Steiner said in testing that "the engine and gearbox here, we had almost a flawless test with the same engine - we never changed engine...They [Ferrari] have done a fantastic job in my opinion." There was a sensor problem on the final day, and Steiner spoke of a car struggling for low speed grip. He also admitted that the brake problems that coloured so much of its debut campaign weren't entirely solved, and indeed repeated brake locking from the car was seen. But he reminded us too of what should be Haas's bottom line: "A lot of people promised us that the second year is going to be harder than the first one," he noted at testing's conclusion, "but I think again we came here prepared...and we did what we said to everybody we will do - have a good second year, hopefully better than the first one." How quickly we forget in F1. The argument still stands - there are those who rate Romain Grosjean as high as they come; perhaps as the quickest of everyone. 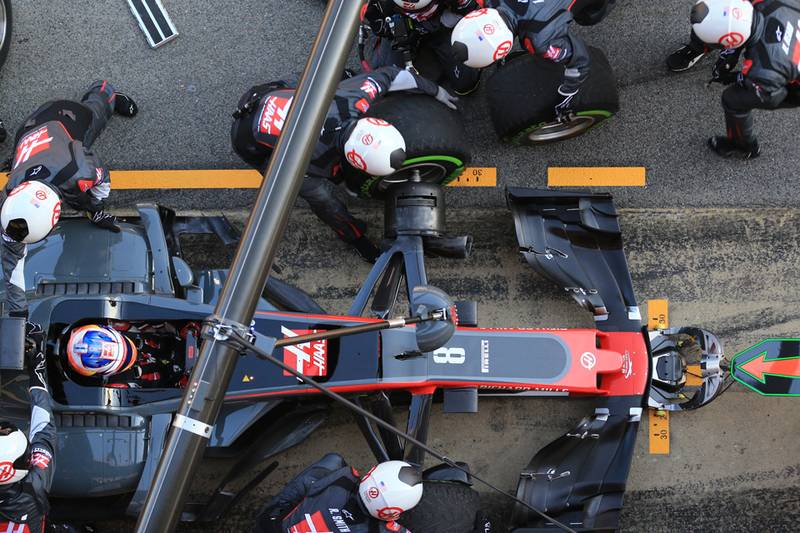 Not hyperbole - Pirelli has cornering data that backs the contention. We also can think back to the final weeks of the 2013 season when he was a routine, and high-quality, contender at the sharp end. And yet today the Franco-Swiss is another whose talent is squandered by poor equipment and a sport with a very exclusive number of plumb drives. It was amid these considerations, and knowing that the Renault squad he was at would take a time to rebuild, that Grosjean last year rolled the dice by joining Haas, with the hope of getting into Ferrari's eye-line. And initially it looked a masterstroke as he scored in three of the first four and showed his range of skills in so doing - such as by holding off faster rivals in Australia and then going on the attack in Bahrain. 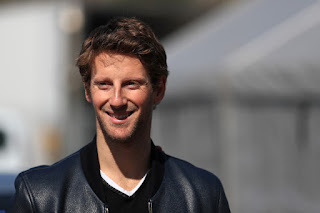 But in line with his team's fortunes it got a lot tougher, the car's handling often was evil and the chronic brake problem was particularly regrettable for Grosjean as it curtailed perhaps his greatest skill of carrying vast speed into corners. And we all heard his frequent radio frustrations. Still even in this tough spell a highly impressive Suzuka weekend reminded us of his acute talent. It was a pity too, as outside the heat of the moment he was a soul of patience and fully recognised the need to keep morale up via being positive. Those close to the situation said he had his shoulder fully behind the Haas effort. One hopes for more than one reason that things finally come right for Grosjean before too long. 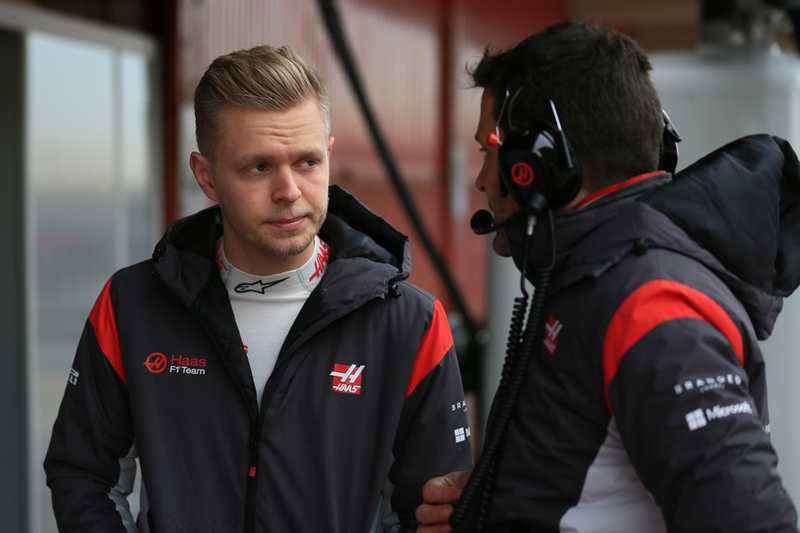 Now in his third F1 team in three full seasons in the sport, Kevin Magnussen's peripatetic existence continues, this time at Haas. Such F1 nomadism isn't often a good sign (remember Andrea de Cesaris? ), yet Magnussen already at 24 years old has been maltreated more than most. At McLaren of course he was dumped rather unsympathetically (and the decision was stretched out over a calendar year near enough while the Dane was left in limbo). He got an unlikely reprieve, and a rare stroke of luck, by getting a Renault drive at the last minute for 2016 when Pastor Maldonado's cheques didn't clear. Yet even so he couldn't shake his ill-starred tendencies. The car was a late patch-up job and the Renault team appeared to lose faith in him early. Word emerged from Enstone that he wasn't committed or disciplined enough and erred too often - a lot like it had when he was at Woking. As the year entered its final part his team mate Jolyon Palmer got ahead of him consistently. He gets another chance though, and his repeated reprieves may owe something to that he apparently brings more sponsor cash than he likes to let on outwardly. Yet we should not forget the raw driving potential that got him his McLaren gig in the first place, plus Magnussen firmly denies the Enstone criticisms (and points out not unreasonably that the team tried to retain his services for this season). And now at Haas in a more tight and sympathetic environment - the backing of Gene Haas and Gunther Steiner seems strong - and with the opportunity to put roots down he now perhaps has his best chance to finally make good on it all. Certainly the man himself thinks so. "It's a different feeling coming to a team that wants you...it's motivating," he noted recently. "Hopefully I have found a team that I can stay with for longer than one year and grow together."